Baptist Medical Group is pleased to welcome Martha M. Green, M.D., to its multispecialty physician network. Dr. Green is a highly skilled family medicine physician who provides quality care for individuals 18 years and older. 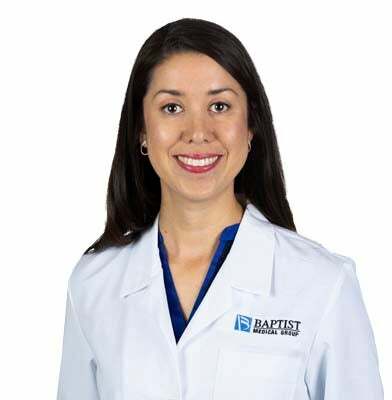 Dr. Green earned her medical degree at the University of Medicine and Dentistry of New Jersey Medical School in Newark, New Jersey and completed her Family Medicine residency at the University of Louisville – Glasgow Family Medicine Residency in Glasgow, Kentucky. As part of Baptist Medical Group Primary Care – North Hill, her office is located at 1717 North E St., Suite 222, in Pensacola. To learn more about Dr. Green or to schedule an appointment, please visit BaptistMedicalGroup.org or call 850.437.8637.